People familiar with how the music industry works knows that Big Recording Labels are always trying to pull one over on their clients in order to keep the profits from themselves. Apparently it has been going on much longer than 1950s when do-wop bands were all the rage. One such example is with the song My Darling Nelly Gray written by Benjamin Russel Hanby in 1856 while he was attending Otterbein College it was eventually published by Oliver Ditson & Co. That’s when the trouble started. His music teacher, Miss Cornelia Walker, to whom the song was dedicated, suggested that he send the manuscript to a publisher. He submitted it to the Oliver Ditson Company of Boston. He assumed that the song had been rejected until his sister heard it sung at a recital. It was soon discovered that the Ditson Company had published the song under Hanby’s name but secured the copyright for themselves. Hanby sued the firm, but won only fifty dollars and twelve free copies of the sheet music. Which is really too awful for words because this song hit it big time. When I say big it would probably be Platinum today. Because even though it is very much an anti-slavery song it became hugely popular in both the North and the South. Although it has been said that the South changed up some of the wording. So the Ditson company made out like bandits. The song became popular among Union and Confederate soldiers during the Civil War and has often been regarded as the “Uncle Tom’s Cabin” of song. The inspiration for the song came from his Father’s involvement working the Underground Railroad. At the time Benjamin Hanby was 9 years old. Hanby was by deeply affected by the story of a fugitive slave who took refuge in the Hanby home in 1842 while escaping from Kentucky. Before his death from pneumonia, he told about his sweetheart Nelly Gray, who had been sold into slavery in Georgia. This was the inspiration for the song “Darling Nelly Gray, ” which Hanby composed in 1856 while attending Otterbein College in Westerville. There’s a low, green valley, on the old Kentucky shore. I’m sitting by the river and I’m weeping all the day. When the moon had climbed the mountain and the stars were shining too. While my banjo sweetly I would play. One night I went to see her, but “She’s gone!” the neighbors say. My eyes are getting blinded, and I cannot see my way. Hark! there’s somebody knocking at the door. Oh! I hear the angels calling, and I see my Nelly Gray. Farewell to the old Kentucky shore! As you may have noticed I changed the Title of my blog. I’m expanding to American History and starting my blog up again. Hope you guys enjoy. I’m participating in another blog chain so please read all the other posts in the chain and leave a comment. Bloggers love comments. Florida is a strange place. It is joked that it is the most southern northern state in the U.S. It was owned by Spain, Great Britain, Spain again, and then the United States. It was owned by Britain during the American Revolution and refused to join in the rebellion. During the Civil War the majority of the citizens did not want to secede but a secret congress held by a few landowning slaves made the decision to join the Southern Cause. When it became a state Northerners were instantly attracted to it as a winter destination against the frigid winters in the North. So with all the different peoples who inhabit Florida who is considered a Florida Cracker and who is not. Ellen Brody: I just want to know one thing – when do I get to become an islander? Mrs. Taft: Ellen, never, never! You’re not born here, you’re not an islander, that’s it. The most popular definition comes Florida cattlemen. 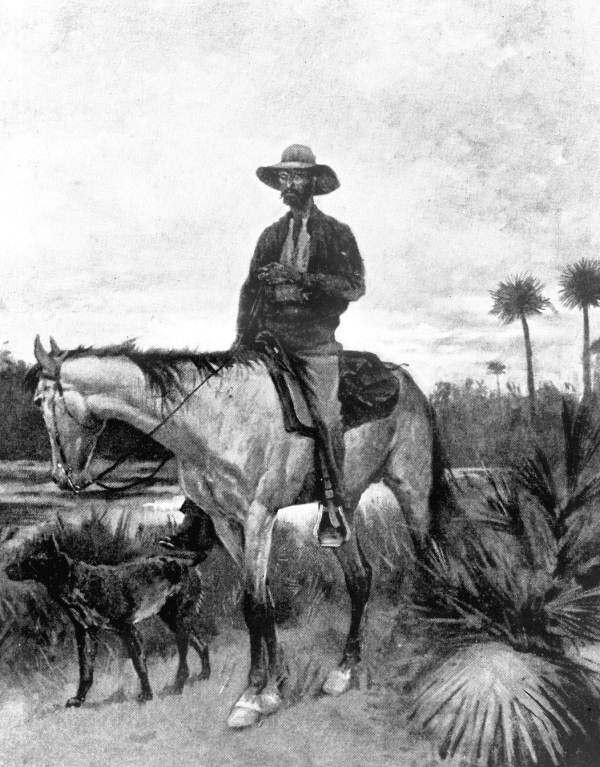 Unlike out west in Texas or other cattle states Florida cattlemen didn’t use a group a cowboys to gather up the herd. Instead they used dogs and a whip. They would crack the whip above the cattle to get them to go in desired direction and the dogs would keep them rounded up into a group so that they don’t scatter. The next definition comes from the English settlers of Florida. Even back in colonial days Florida was a backwater. If you lived in Florida you were considered resilient, self-sufficient, and independent. While the more citified colonies considered Cracker and insult the settlers of Florida took it as a point of pride. If you were born in Florida and can trace your ancestry back to the Antebellum era to ancestors who also lived in Florida you are a Florida Cracker. A looser definition is someone who is born and raised in Florida but their ancestry isn’t necessarily Floridian. Even today while some people see cracker as an insult. A majority of native Floridians especially those who live in the country see it as a compliment. July 4th most think of the founding of our country when the thirteen colonies fought Britain and became an independent country. Florida at that time were two colonies under British control that chose to remain loyal despite the invitation to join the Patriots’ fight for independence. You can read more about that in this blog post. 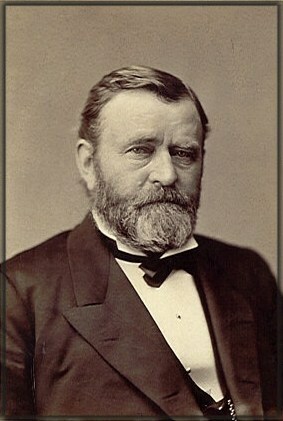 The Republican Party, whose nominee was Ulysses S. Grant, held a Presidential campaign in Tallahassee. “The [Tallahassee] Floridian reported that the Republican Party held a Presidential campaign rally to celebrate this auspicious occasion and that the crowds from all over the state, particularly newly enfranchised freedmen, made up ‘Probably the largest crowd here, ever before at any time. '” source. Grant due to his popularity in the North for ending the Civil War with the surrender of General Robert E. Lee at Appomattox and his popularity in South among the newly enfranchised slaves won the election against Democratic nominee Horatio Seymour. He won Florida which gave him three electoral votes and won him the Presidency. Virginia, Mississippi, and Texas were not reinstated into the Union and were therefore unable to participate in the Presidential election. Yamato: More than Just a Colony: Read a little bit about how Yamato Rd. and the Morikami colony in Boca Raton from a native Japanese. Norman Studios: Read about the first white film director to create all black-cast movies during the silent movie era without using the stereotypes of the times. Florida Monthly Blog The blog for Florida Monthly Magazine. It covers Florida culture for Floridians. Floripedia An online encyclopedia about Florida. Henry Morrison Flagler Museum The official site of Henry Morrison Flagler Museum located in Palm Beach. Historic Pensacola Village T.T. Wentworth, Jr. Florida State Museum. Their mission statement- West Florida Historic Preservation, Inc. is dedicated to collecting, preserving, and interpreting the history of Northwest Florida. This post is part of a blogchain. The theme was rain and I thought it would be a good opportunity to write a little bit about NASCAR. So please spread some blog love and leave a comment and read the other posts in this chain. As the people who are after me post I’ll keep updating this post to reflect that. So don’t forget to come back. Lyra Jean – https://beyondtourism.wordpress.com <— ME! If you are a NASCAR fan you know that this past Daytona 500 was a bit disappointing due to the rain. For the first time ever it was cancelled and rescheduled for the next day. The next day was still wet but they kept on and finished the race. If you have been a NASCAR fan for awhile you’ll remember the 1979 Daytona 500 when according to ESPN, ” It’s a rainy, sloppy day in Florida while most of the East Coast is sacked by snowstorms and millions of people without anything else to watch one month after football and two months before baseball fall in love with NASCAR.” Why is this significant it’s because this was first time a NASCAR race was televised live from flag to flag. But it wasn’t just being forced to stay at home with nothing else to watch that made the race popular. 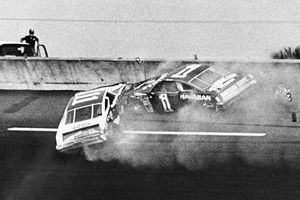 According to the Daytona 500 Speedway , “On the final lap, Yarborough pulled out to pass Allison on the Superstretch. The two banged fenders so hard they crashed into the Turn 3 outside wall before sliding down to the apron.” This later on turned into a fight at the end of the race. The wreck happened in turn three. 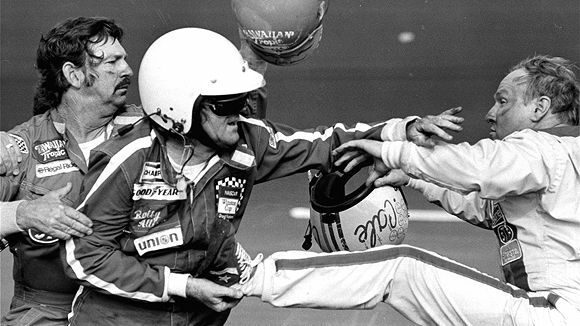 While it was Donnie Allison and Cale Yarborough who wrecked at turn three near the end of the race it was Bobby and Cale who got in the fight at the end of race. It was Bobby who got the brunt of the damage when he got caught up in the wreck. The fight was caught on live television. Who won the race that day? None other than the great Richard Petty. First it was a novel written in 1891 by Fergus Redmond and Archibald Clavering Gunter. In 1913 director, Sidney Drew, turns the novel into a silent movie with the same title. It was filmed in St. Augustine and starred Sidney Drew, Edith Storey, and Charles Kent. The synopsis of the movie: A young woman discovers a seed that can make women act like men and men act like women. She decides to take one, then slips one to her maid and another to her fiancé. The fun begins. Below is a 3 minute summary of the movie. This movie is considered the first homosexual movie by the documentary The Celluloid Closet. Black face is used in this film.